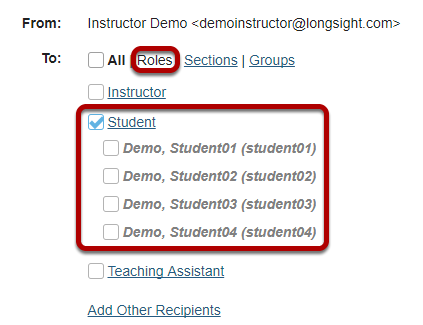 Sakai Guides and DocumentationSakai Complete User Guide EmailHow do I send an Email message? 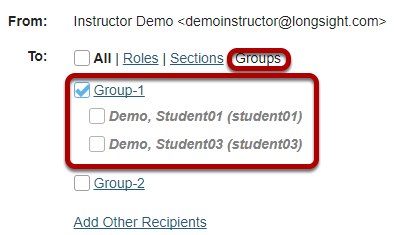 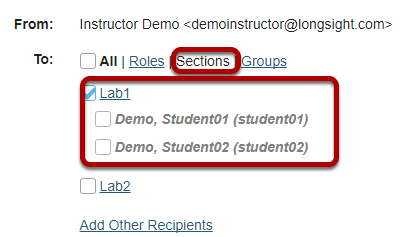 When you compose a message in the Email tool, you have the option to select recipients in the course by role, section, or group. 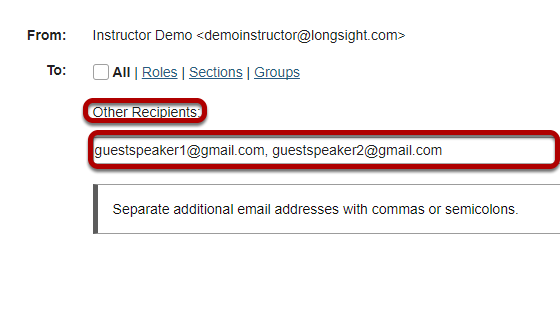 Zoom: Enter the message body text.